Hello everyone!!! I'm really happy to share a new DIY project with you today! Some time ago I've seen a project like this on Studio DIY website and I've immediately decided to make it on my own! 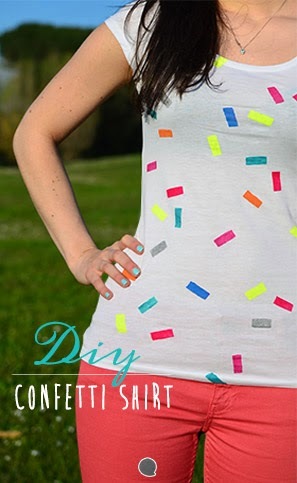 Let's start with DIY confetti shirt, everybody loves confetti!! 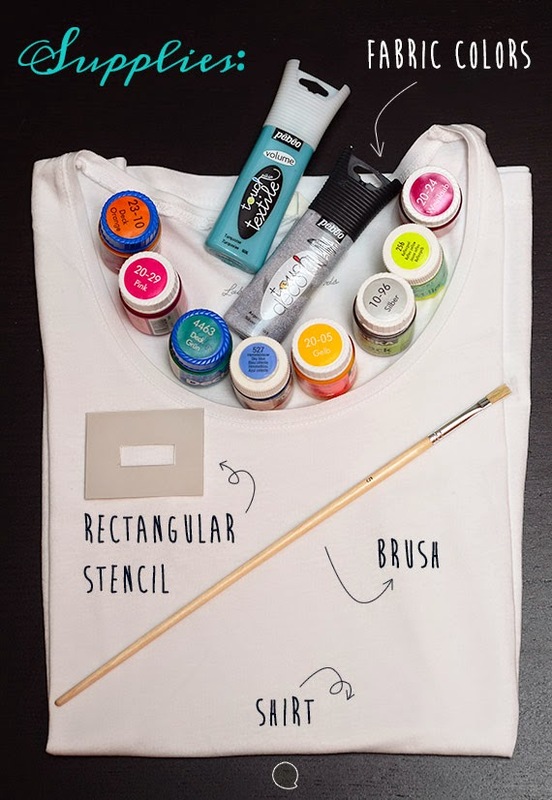 This DIY project is really easy, you only have to place your stencil on the shirt and start coloring inside! I've chosen different colors to make my shirt very colorful! You can use a gradation of one color or many different colors! I suggest to cut many stencils with the same shape and use each one of them for a different color. For example you can start with yellow and when the yellow fabric dye is dry you can go on with another color and so on. Remember to put a cardboard sheet inside the shirt to prevent the fabric dye from coloring through the back. Ta-dan! 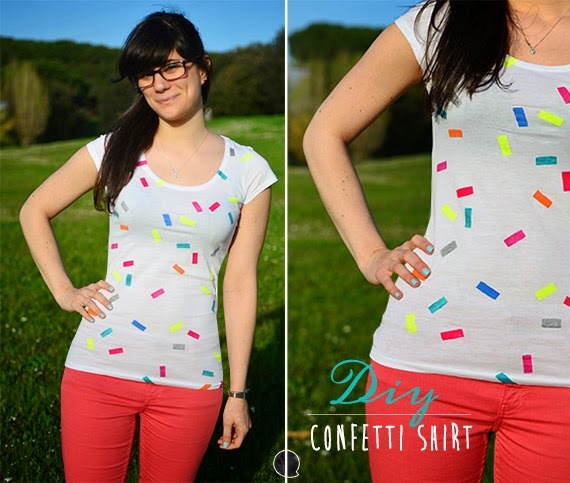 Your spring confetti shirt is ready!! I hope you like this project. Many thanks to Studio DIY for inspiring me as always! See you on the next DIY project!